Add Cheeky Seats RAIN cover? 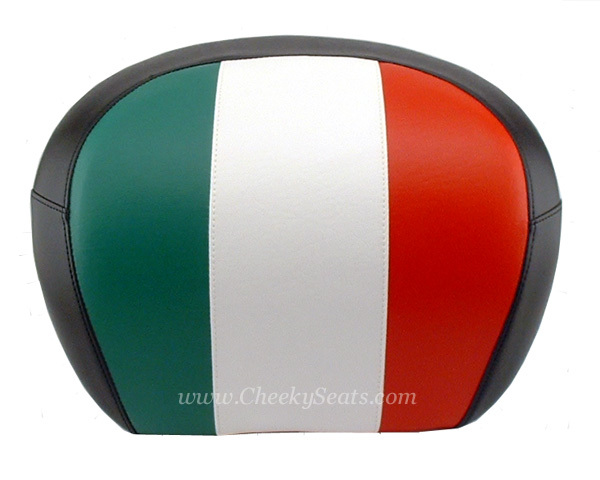 Our beautiful Italian Flag seat cover is a great way to give your Vespa scooter a signature style, and is one of our Top Looks! 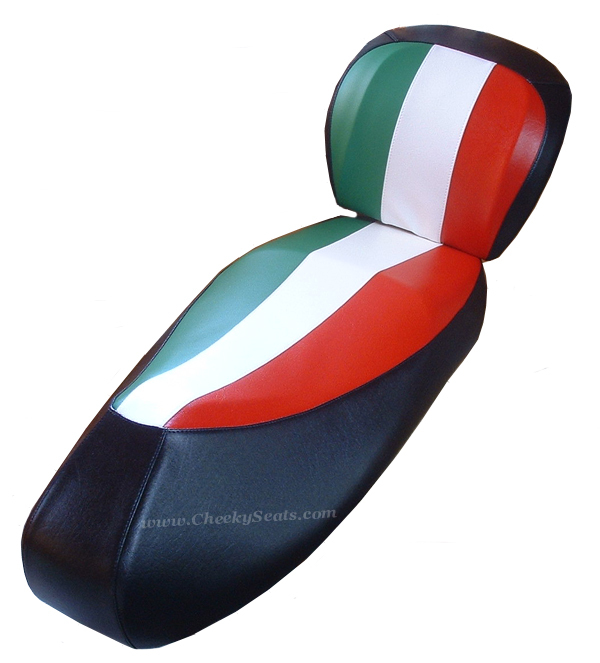 This is not a printed cover, we hand cut and sew the stripes together, and the sides of the seat are black, to provide a neutral transition, so that this seat cover will look amazing on any of the Vespa colors. 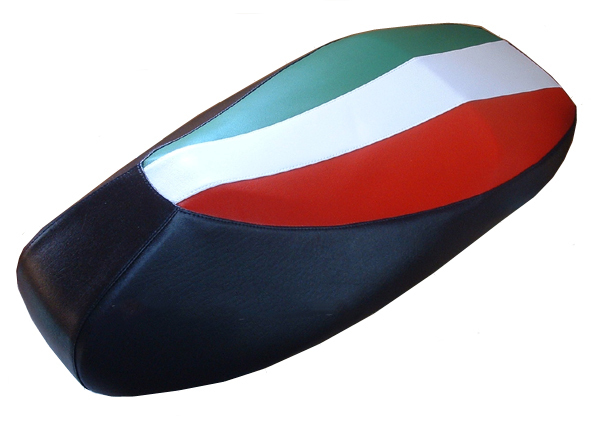 We have constructed the Italian Flag cover with premium marine grade vinyl. It is waterproof, UV stabilized (will not fade), scratch, scuff and abrasion resistant, and will not peel or crack. Your seat will stay so much cooler in the sun! This is also a great way to protect and preserve your original saddle. No tools or staples needed. Our impeccably tailored seat covers fit like garments on your Vespa seat. This is just the kind of signature accessory your Vespa is calling for.